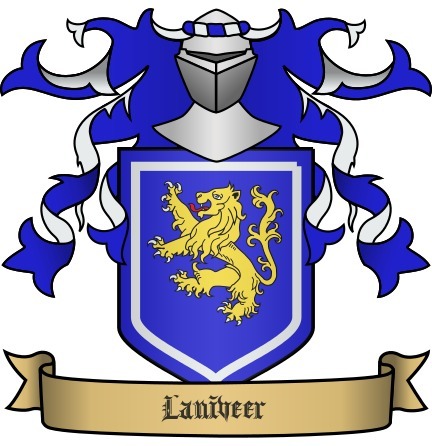 Laniveer is recognized as the most powerful Kingdom in all of Daeren. Their army is massive, and their cultural and scientific contributions have been many. They have several large cities and many massive castles throughout the land. While they don't have as much gold or silver as Mobrin, their output of steel is double that of their southern neighbor. The City of Ashketh is the second largest city in the world, behind the City of Weston. 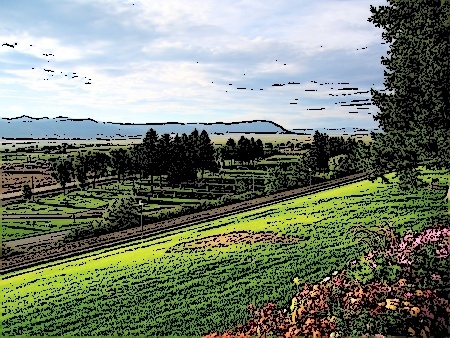 Ashketh, like Weston, is known for its cultural advances, trade, and science. The people of Laniveer are known for their regal way of behaving. Even their peasants speak with something that could be called a refined pronounciation. There are often banquets and dances thrown to celebrate things. Dance is a rather large part of the cultural society of Laniveer with new sorts of dances surfacing ever so often. They are a kingdom that are rather self sufficient and able to stand on their own feet to most parts. Their largest resource is steel though. Making them able to have a huge army with good weaponry and armour. The patron god of Laniveer is Viri. He is the father of the cosmos. He is known as the father of the gods. He is everything; day and night, dark and light, wind and rain. He is the background upon which the world is written and his wife Dair is the detail, the moon and stars and all that makes the background truly visible. In tandem they make up the skies. Together they are balance and from them the other gods flow. There could be no Night for Thedor, Umbra, and Inouv without them as there would be no planet, no stars… and no true dark. There could be no day for Sess, Nar, Sheat, Alasair, Lughdon, Anahyta, Kallishar and Cri without them as there would be no light… no sun. They are the foundation upon which the 8 could be built. So while forgotten by many they hold utmost importance to the world. Dair, wife of Viri and mother to the gods, has been forgotten by time, even by Laniveer. Mention of her is only found in the most ancient of texts, many of which never see the light of day. To the majority in Laniveer, even, she is simply subsumed by her husband. Viri is seen as all, the other gods apparently springing forth from him fully formed, with no mother to call them forth, only a father. Marriages: Marriage ceremonies only take place at night. During the time that Cri is full the priest and priestess of the Viri are very busy because they are performing the most marriages. It is believed that marrying under the full light of Cri will bring both fertility to the couple and blessing to the union. The night before the ceremony the couple are separated, each taken to room for fasting and preparation. Both Bride and Groom are washed by family members of their same gender with various herbs and oils meant to purify them and sanctify the coming union. It is a time for meditation as well. Incense is burned to assist in meditation. When the time for the ceremony comes, the Bride and Groom are led to the place of marriage, usually the Temple. The priest or priestess of Viri leading the ceremony, guides the couple through their vows. After the ceremony is over there is a grand feast which generally lasts for hours. The couple is allowed to eat for the first time, though they do not stay for the whole feast and celebration. They stay long enough for toasts to the couple, and then they are led by acolytes of Viri to a separate rooms where again, incense is burned and they are bathed and oiled. Once the couple is again prepared they are led, clothed only in a robe, to a room with merely a bed and burning incense. The acolytes stand outside the door while the marriage is consummated. Once the consummation is accomplished the acolytes return to the feast and announce the marriage as official. The party slowly begins to wind down after the announcement. Death: When a person dies in Laniveer they are generally placed in crypts of some sort, though their actual burial, like most things, is dictated by class. If a noble dies their bodies are mummified. This is done by removing all the organs and packing the bodies with salts and herbs. The organs, when removed, are burned, the resulting ashes placed in a small decorated box and sewn back into the body. The bodies are then wrapped in a burial shroud and are placed in family crypts above ground or for the truly lucky, underneath the temple of Viri. For those those of the lower classes it is different. The herbs for mummification are costly, so instead all of the flesh is removed off the bones using alchemy, which also takes care of the internal organs. The bones are then placed in family graves.